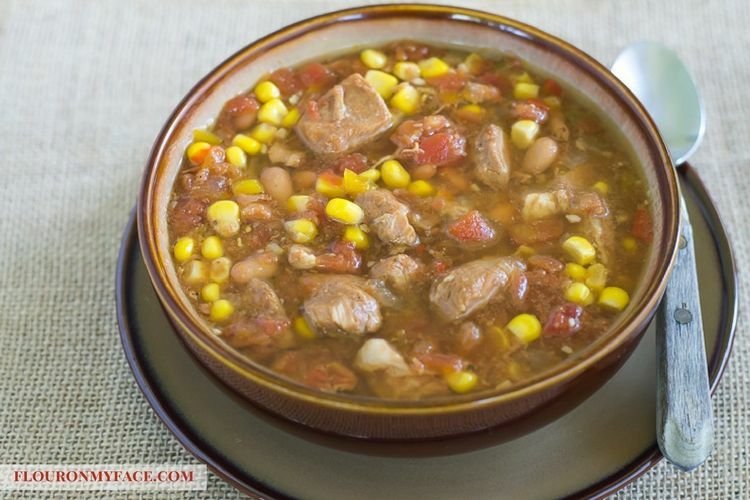 Crock Pot Southwestern Stew is another great crock pot recipe for any time of the year. 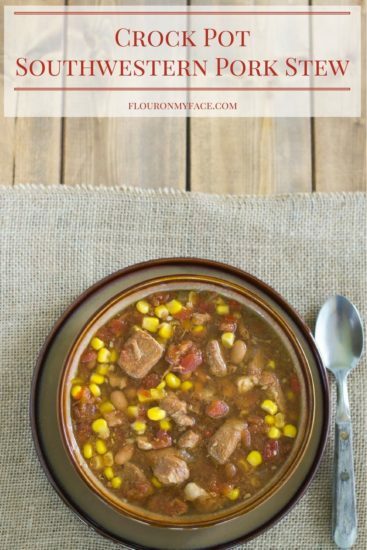 Stretching those meal planning dollars is easy when you plan ahead with crock pot recipes like this crock pot Southerwestern Pork Stew recipe. Like my Crock Pot Minestrone recipe it only calls for one pound of meat. That makes this crock pot recipe a very budget friendly recipe. Planning meals for the family shouldn’t break the bank. Place all the ingredients into a 4 quart crock pot. Cook on high for 4 hours, low for 6 hours or until pork is cooked through. 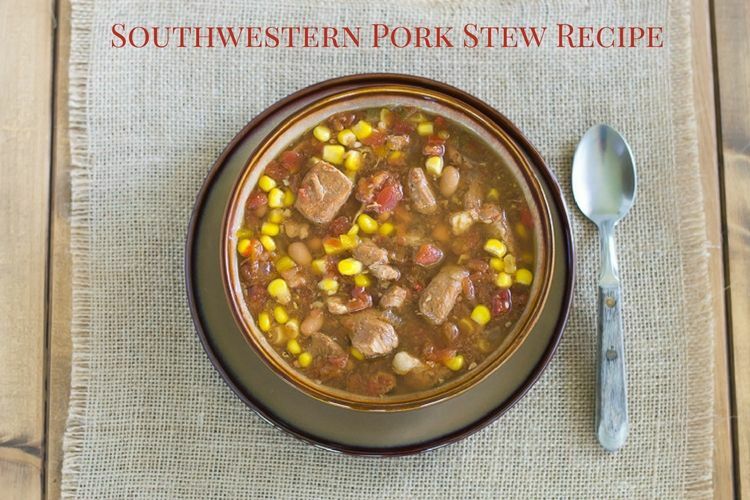 Budget friendly crock pot Southwestern Pork Stew only calls for one pound of pork meat. Looking for more crock pot slow cooker recipes like this Crock Pot Southwestern Pork Stew recipe? 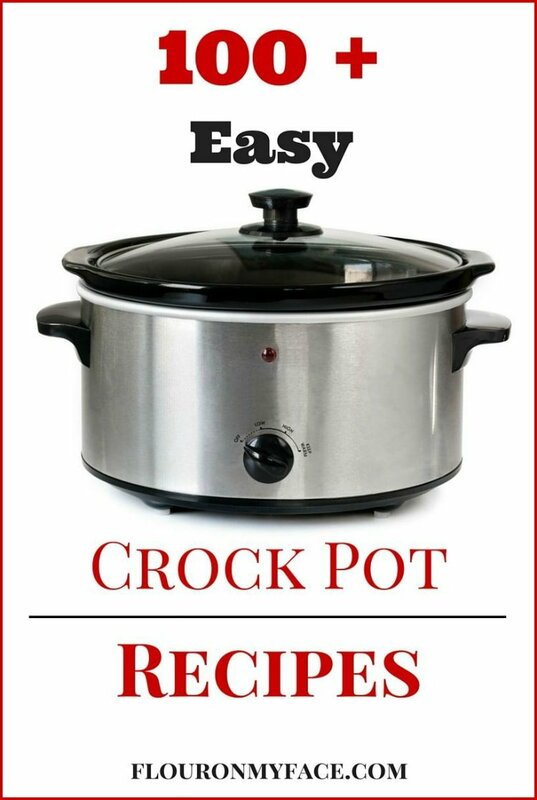 Head over to my Crock Pot recipe page to find over 100 crock pot slow cooker recipes. I love cooking with my crock pot. Thanks for stopping by! I love my crock pot! I posted a pork stew today, too! Not southwestern though! This looks really good. Saw you at the Whatcha Crockin’ Link up! Great minds think alike! Thanks for stopping by.